This is my father, Frank Claycomb, with a dog, and I think, my grandfather’s team. That would make it be Wayne, Nebraska. And probably the early 1930s. These are two of my father’s i.d. cards. 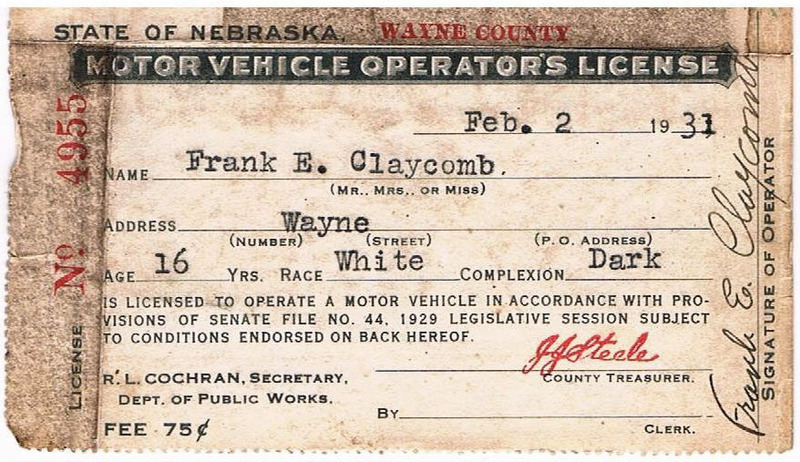 One is his student activity card for Wayne (Nebraska) State Teachers College. 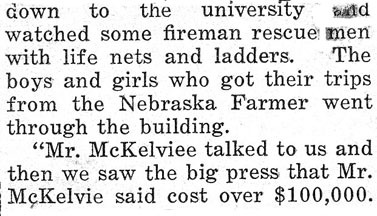 It surprises me that it would cost $3.25 for one semester in 1933. Seems pricey. The other is his Michigan driver’s license for 1936. It’s printed on shiny paper – like photo paper. He was 21 and would be getting married that April. This is the eulogy that was read at the services for Dad in 1999. He would have been 100 years old this year. February 2, 1915 Frank Erwin Claycomb was born in Sycamore Illinois on the farm of his Grandfather, for whom he was named. His father Amos Townsend Claycomb had also been born in Illinois, but his mother Ruth Bressler Claycomb was from a small town in Nebraska. When Frank was 2 years old, the family moved to Wayne Nebraska where Frank’s maternal grandfather had homesteaded in the 1880’s. Here the family farmed raising corn, wheat and hay. 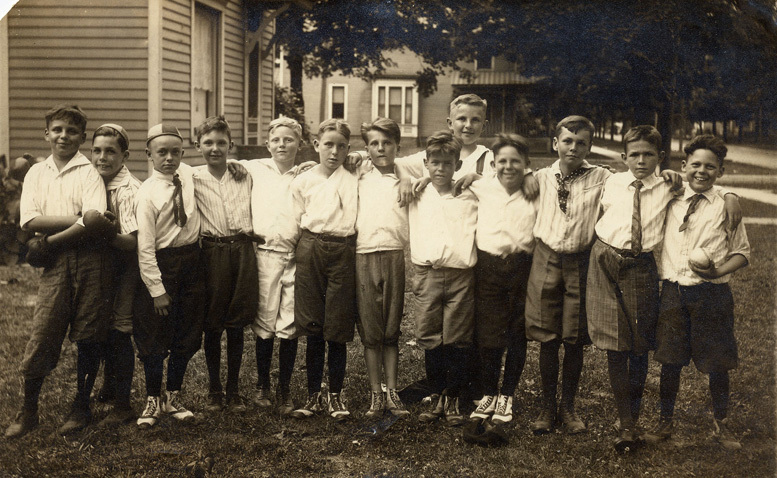 Frank had an older brother John, 2 younger brothers, George and Richard, and a sister Barbara. 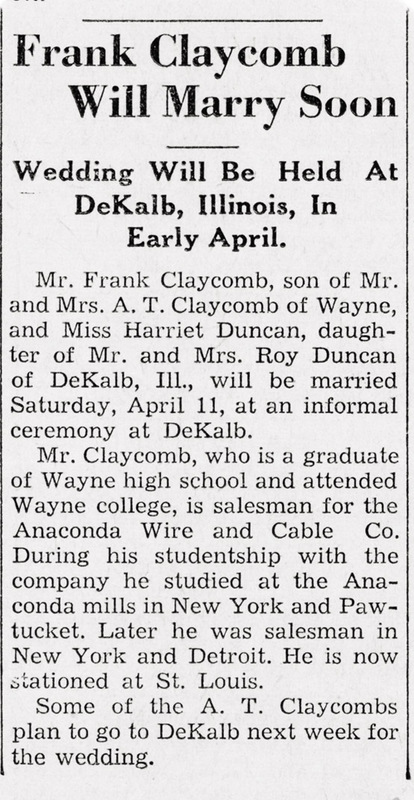 All the children attended Wayne High School; Frank graduated in 1931. He then went 2 years to Wayne State Teachers College. In the mid-1930’s he moved back to Illinois and got a job with the Central Illinois Power & Light Company, beginning his career in the electrical industry. And more importantly to his children, this is where he met Harriet Duncan. They were married April 11, 1936, and celebrated their 63rd anniversary 3 weeks ago. At their wedding, Harriet’s sister Helen met Frank’s brother, John. 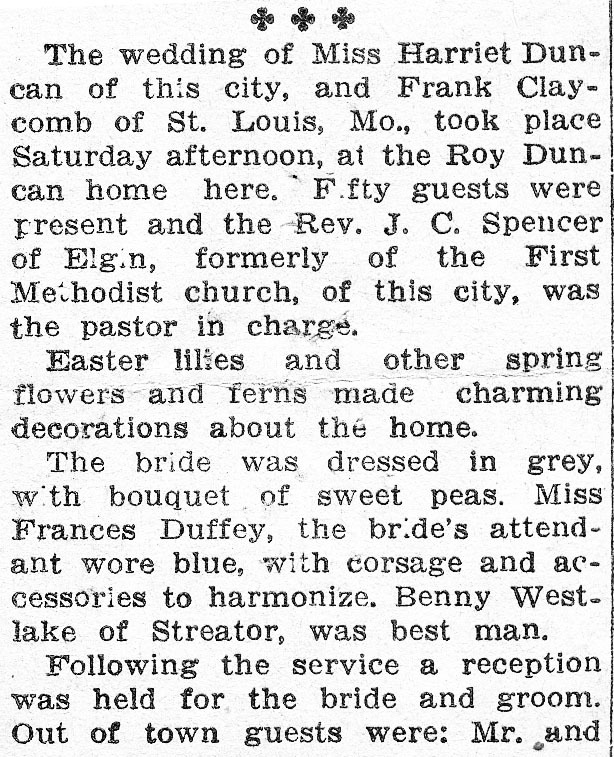 A few years later Helen Duncan married John Claycomb. 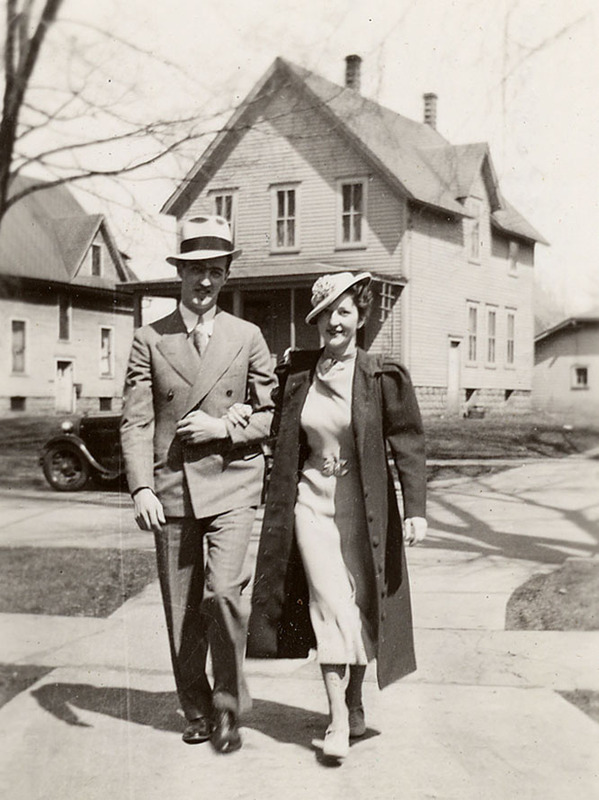 Frank and Harriet lived in several cities when Frank worked for Anaconda Wire & Cable Company. They moved from St. Louis to Detroit to Hollywood and Pasadena. This was during World War II when it was patriotic to raise as much of your family food as possible. Frank built a chicken coop, stocked it with hens that provided eggs. He joined a neighborhood Victory Garden. On what was a vacant lot, they produced vegetables for the whole block. Even in the city, the man from Nebraska never forgot the farm. He was asked to come to work for Pacific Wholesale Electric Company in downtown San Diego so they moved to North Park. When he had a chance to buy some acreage in Eucalyptus Hills, he jumped at the opportunity to work the land again. He not only continued to work downtown, which meant a very long commute in the days without freeways, but it meant more work when he got home from his job. 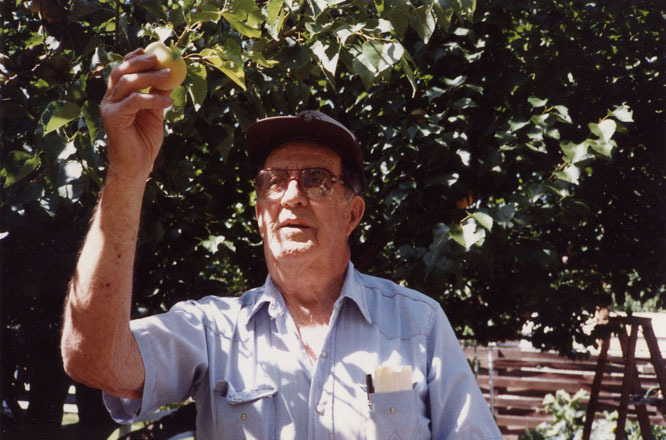 With the help of his family, he tended the trees – avocado, orange, lemon, grapefruit, apricot, walnut, plum, loquat, pomegranate and more. He cultivated a garden of corn, lettuce, tomatoes, grapes, squash, carrots and radishes. He raised turkeys, hens, pigs and helped his children care for their lambs, rabbits and horse. The children always had a list of chores to do, but they also had pets, fresh fruit, and room to roam in a great rural neighborhood. Frank and Harriet provided a house full of love, strong role models and a wonderful place for children to grow up. 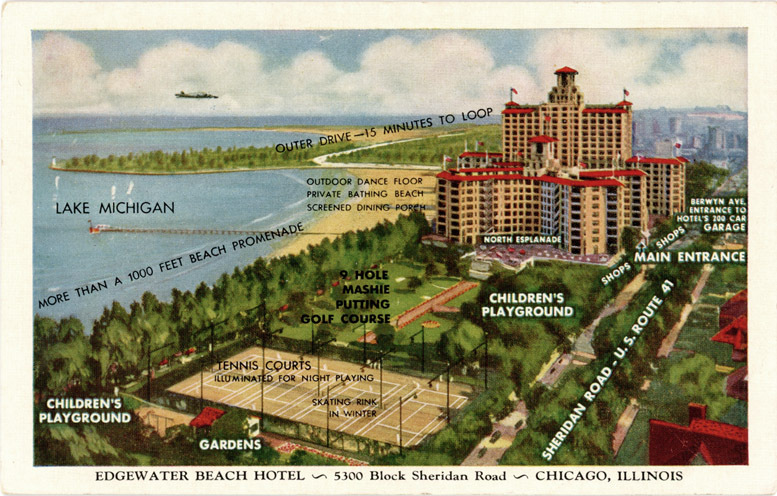 In 1960 the family moved to a more suburban setting on Vista Camino – less than ½ acre. But this didn’t stop Frank from planting fruit trees and a garden. He moved violets from the farm in Nebraska to the yard in Lakeside. His garden flourished. Every year we had tomatoes, corn, several kinds of lettuce, squash, beets and whatever else caught his fancy. Because of his plantings, we will have apricots, boysenberries and asparagus for years to come. Many years ago Frank lost the sight in one eye. He never complained. Then about 4 years ago he noticed more trouble with his sight. He was diagnosed with macular degeneration in what had been his ‘good’ eye. This curtailed his gardening, but he still tried to get the vegetables planted. His grandson, Dave, comes out every Thursday to help with the garden and learn from his grandfather. Though not a formal student, Frank loved history. He enjoyed local history wherever he was. He never tired of hearing Doug McClain’s stories of old Lakeside or John Lynton’s Colorado homesteading stories of the land where Frank went hunting. He cherished family history. He saved his father’s diaries and kept his own throughout his life. He told us stories of his aunts and uncles so that we felt as if we knew them well even though they lived in the midwest. He passed this love of family history to his children. Tom collects the photos and household treasures of the past; Donna keeps the letters, diaries and researches the genealogy. When she was still with us, Jeanie collected family stories and family recipes. She made copies of these booklets for all of us. Frank even appreciated the history of the electrical industry in San Diego. He and Neville Baker gathered the old timers together giving them a chance to reminisce and a chance for the current members to meet their predecessors. The Old-Timers meetings have become a regular event in San Diego. It was not easy for Frank to express his emotions. It was easier to plant the roses you see in front of the house on Vista Camino. These roses were picked in celebration of ordinary and extraordinary days. He sent roses when each of his five grandchildren was born. He brought one red rose to the memorial service for his daughter Jean who died in 1993. His garden and his yard were the expression of his feelings and creativity and will be with us for a long time. We will all remember his love, his laughter, his steadiness and his integrity. 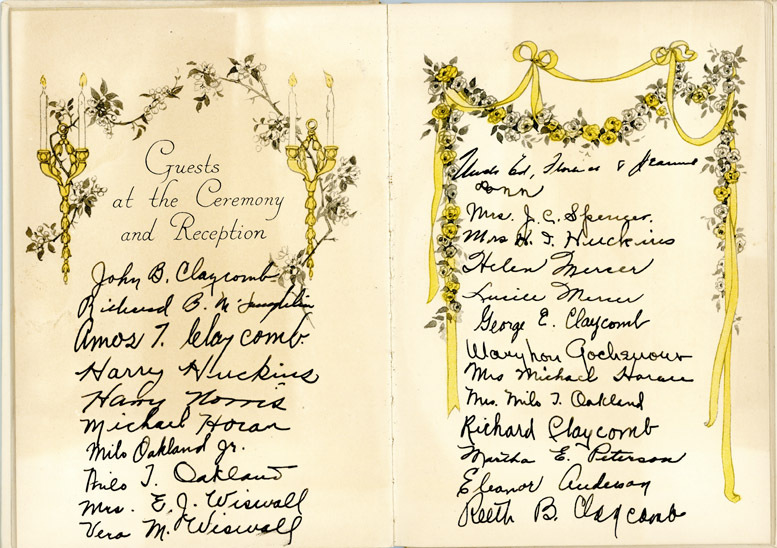 My father attended Club Week in Lincoln Nebraska in 1927 when he was twelve years old. This is the article he wrote for the local paper. 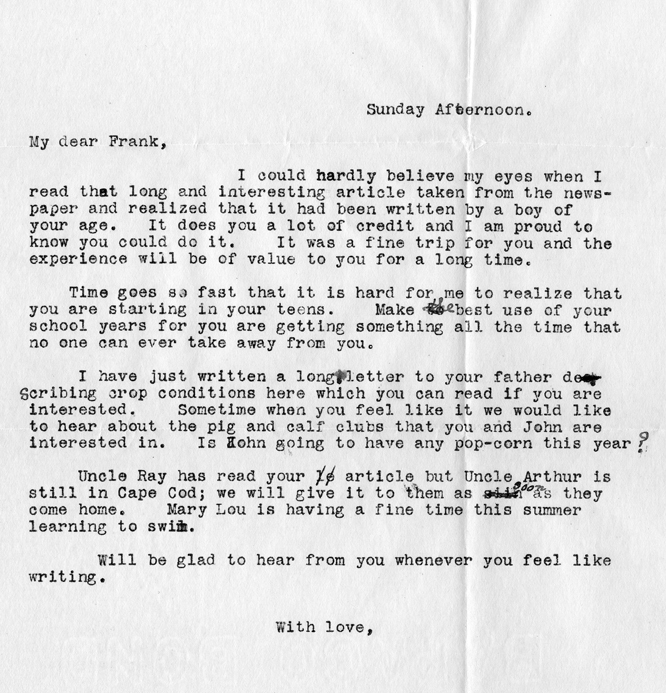 And then a letter his grandfather wrote to him after reading the story. 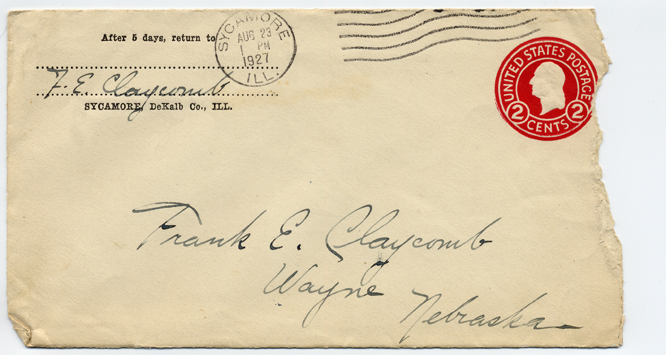 Dad was named for his grandfather, Frank E. Claycomb, who did not sign this letter. My brother has as much stuff to sort through as I do. It is overwhelming sometimes and often a joy. Here’s his contribution this week. 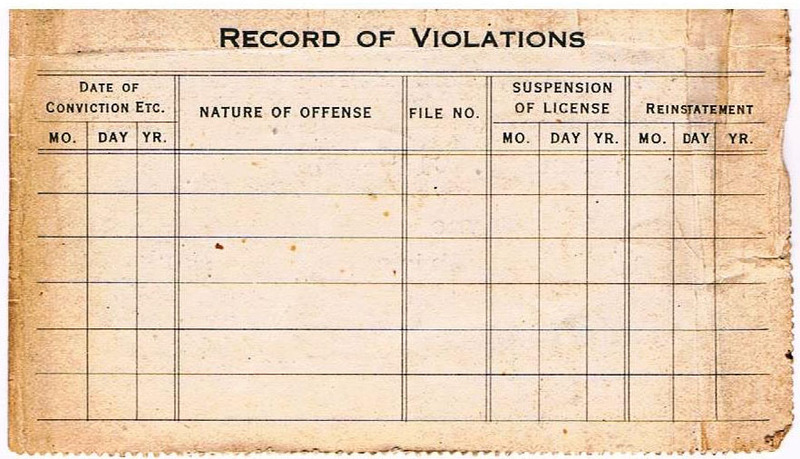 Tom found it difficult to believe it was Dad’s license since no violations were indicated. Or maybe he’s remembering his own youth. Frank Claycomb’s wife, Anna Sarah Townsend, died in 1892 leaving him with five children ages 3 weeks to almost 8 years. He had a housekeeper, Mrs. Hill, who must have been a huge help in those early years. 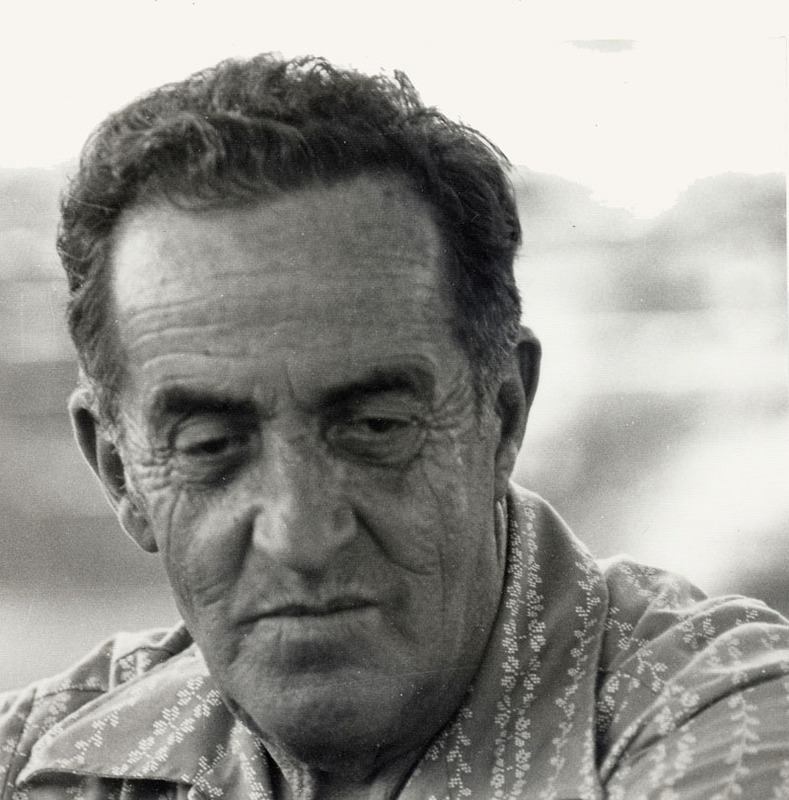 His son, Amos, kept diaries that mention Mrs. Hill. The earliest we have is 1900 when he was 14 – the first one can be seen here. Frank lives in Cortland Township, DeKalb county, Illinois. He farms and invests in land. 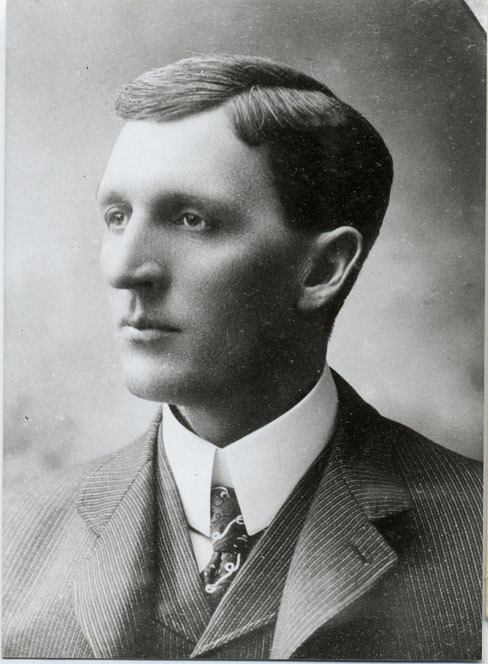 On June 30, 1908, Frank’s father, George Washington Claycomb, died at the age of 80 in Monmouth, Warren county, Illinois. 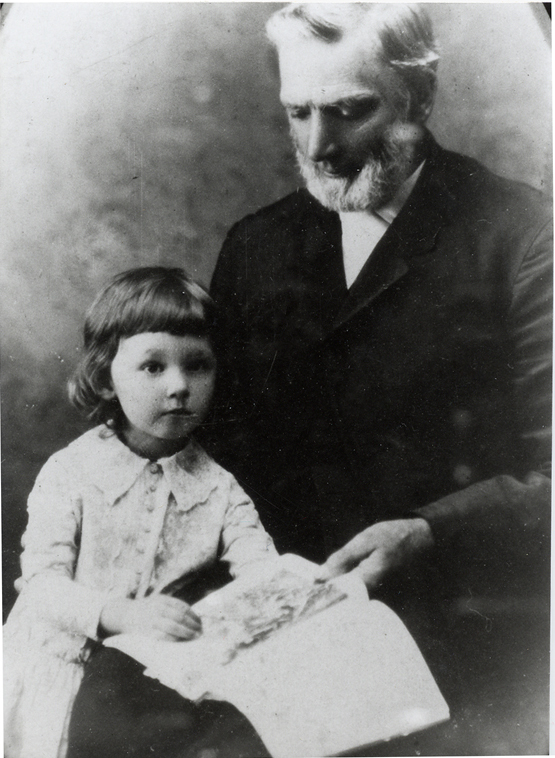 George Washington Claycomb with his granddaughter Eleanor. Eleanor was born in 1884, so perhaps this was taken about 1888. 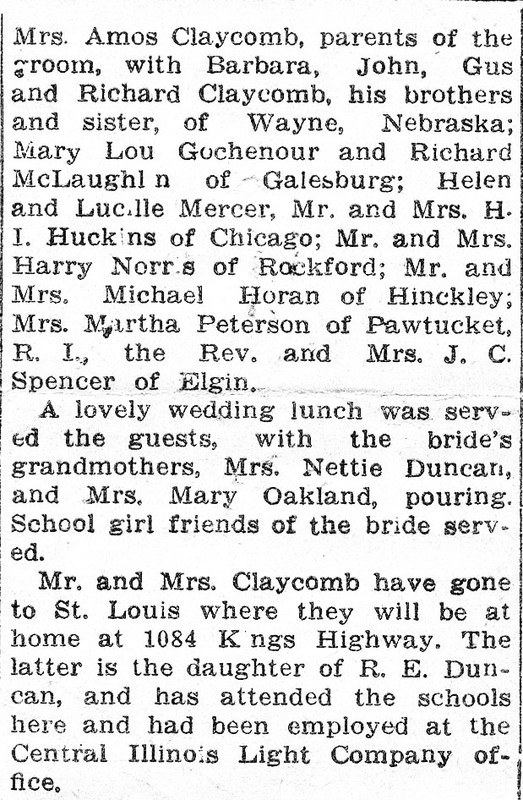 In 1910 on October 27th, Eleanor, the oldest child married Arthur B. Gochenour. 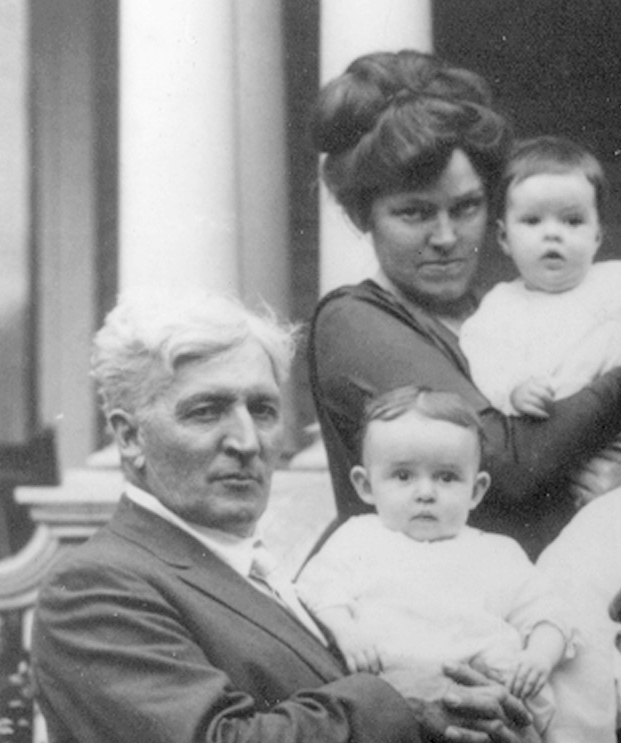 On 13 October 1911, Frank Claycomb’s first grandchild was born and named Frank Claycomb Gochenour. 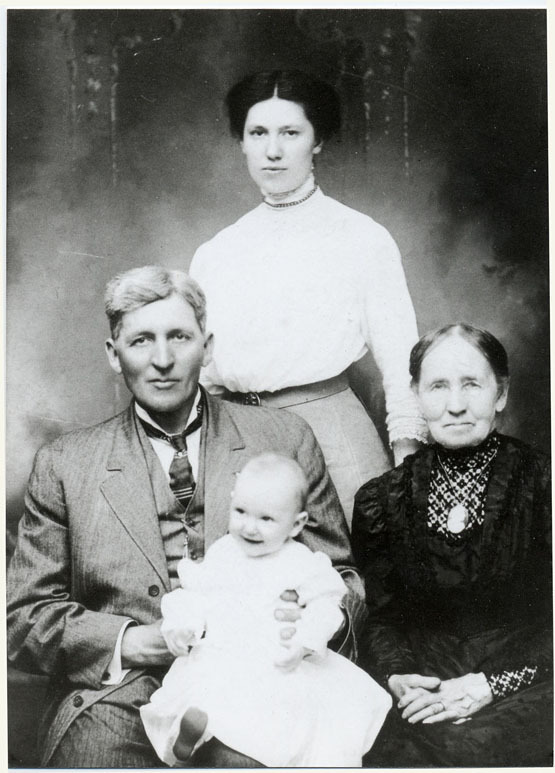 Four Generations: Sarah Goddard Claycomb, mother of Frank Erwin Claycomb who is the father of Eleanor C. Gochenour who is the mother of Frank Claycomb Gochenour (born 1911). On 7 September 1911 Louise married Lewis Ray Love at “Anchorage” her Aunt Georgia Yates’ home in Boise, Idaho. They later moved to New York. 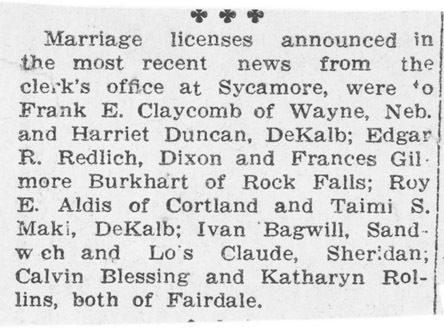 In early 1912 – on January 12th – Frank Claycomb married for the second time – this time to Evangeline Shattuck, a teacher in the Sycamore schools. She was born in 1873 in Colorado – her parents were Orville and Harriet Shattuck. The only photo I have found of Ve. She’s holding granddaughter, Barbara. Her husband Frank is on the left. 1919. She came to be Grandma Ve when the grandchildren and great-grandchildren arrived. There is so much to Ve’s story that I don’t know. In 1910 she lived with her two sisters, Edith and Ethel – none of them married and all were teachers. Evangeline was born in Colorado, Edith in Pennsylvania and Ethel in Ohio. That’s a lot of moving in the late 1800s and there must be stories there! In the 1960s I wrote to her about family genealogy – I didn’t know she wasn’t my grandfather’s mother. I just knew she was my great-grandmother. She answered my letter that since there were no blood ties, her story wasn’t important. Oh, what a mistake I made not asking her more. Frank’s children continued to get married. On 20 December 1913, George married Helen Virginia Quarles in Honolulu, Hawaii. They made their home in Boise, Idaho. On 27 February 1917 Edward married Isabel Peake in Kansas City, Missouri where they lived. 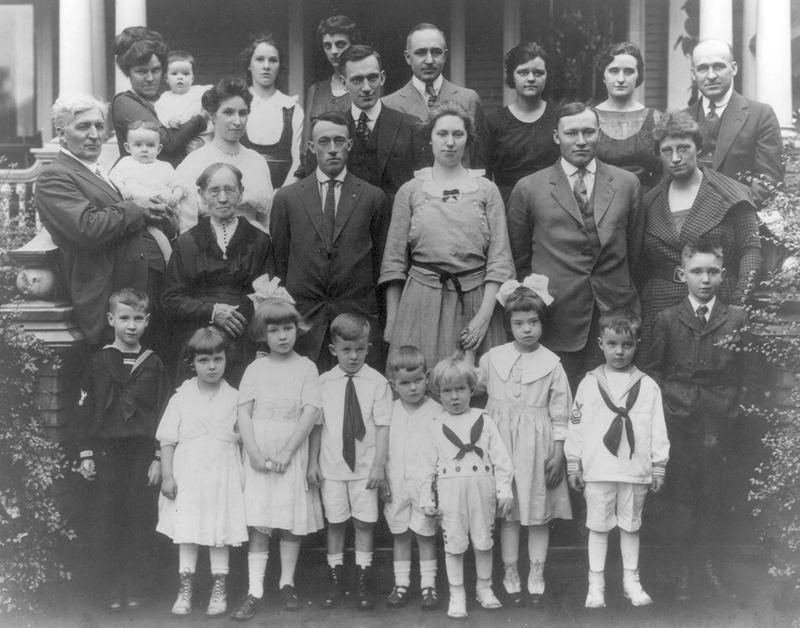 A photo from about 1919 shows the family (people are identified here). All of Frank’s children have married and there are many grandchildren. 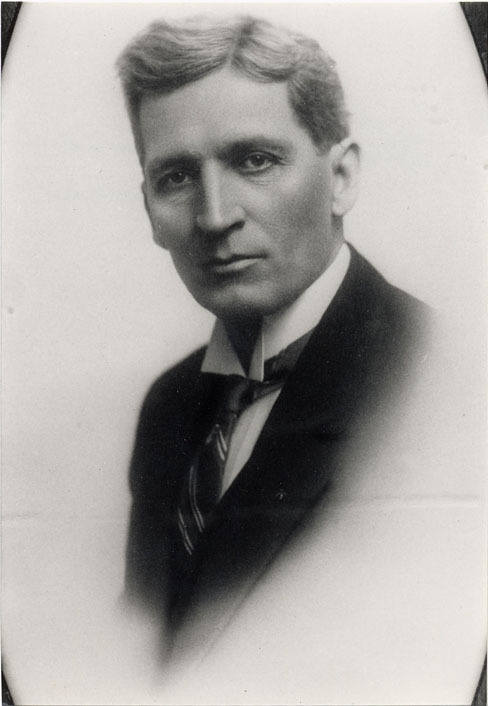 In 1922 young Frank Gochenour died on July 11th. He was 10 years old. 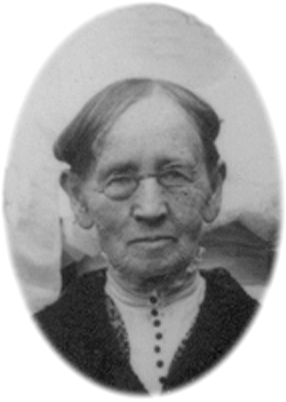 And on 19 August 1926 Sarah Goddard Claycomb, Frank’s mother and the matriarch of the family, died. She was 92. On 2 August 1932, Frank Erwin Claycomb died at age 77. From his will: Petition of Evangeline S. Claycomb: Frank E. Claycomb died at his home in DeKalb Township in DeKalb County, IL, 2 August 1932. Real estate valued at at sixteen thousand dollars, personal property valued at three thousand dollars. Surviving him: Evangeline S. Claycomb; Eleanor Gochenour, daughter, adult, Sycamore IL; Louise Love, daughter, adult, Winnetka, IL; Amas [sic] Claycomb, son, adult, Wayne NE; George Claycomb, son, adult, Boise ID; Edward Claycomb, son, adult, Kansas City MO. Lists real estate owned in DeKalb County, 5 shares of stock, Ohio Oil company, 20 shares of stock, Club Aluminum, 2 bonds secured by mortgage in Pierce Bank Building, 4 shares of stock in the First State Bank, Maple Park IL, 1 note secured by mortgage. I wish I had more to write about Grandma Ve than just her death date – 10 February 1966, but I didn’t know much. Even the adult grandchild who gave information for her death certificate knew very little. I know she lived on her own, quite independently, in a two-story house. We visited her in 1956 and I remember those steep stairs. Mom said she died while talking on the phone to a friend. Gently slipping away. Anna Sarah Townsend was born 9 February 1864 in Malta, Illinois, daughter of Eleanor Pierce and Amos W. Townsend. She had an older brother, Frederick and an older sister, Jennie. She also had two younger sisters, Georgia and Mary. The family moved to the Daniel Pierce farm just west of Sycamore, Illinois in 1876 when Anna’s maternal grandmother, Phoebe Jane Brundage Pierce, died. This allowed them to care for her grandfather, Daniel Pierce. 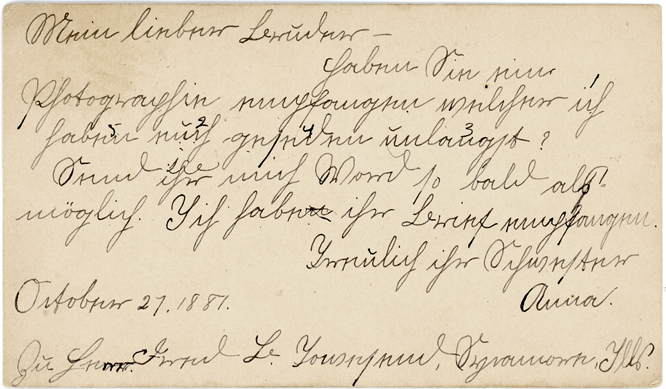 In 1879 when she was 15, she went to Lombard College in Galesburg, Illinois, for a year. This is where she met Frank Claycomb. Anna’s mother was active in the Universalist Church and later on was on the board of Lombard College, a Universalist school. Anna then spent a year in school in Jacksonville, about 100 miles south of Galesburg. And then a further year at Rockford Female Seminary. 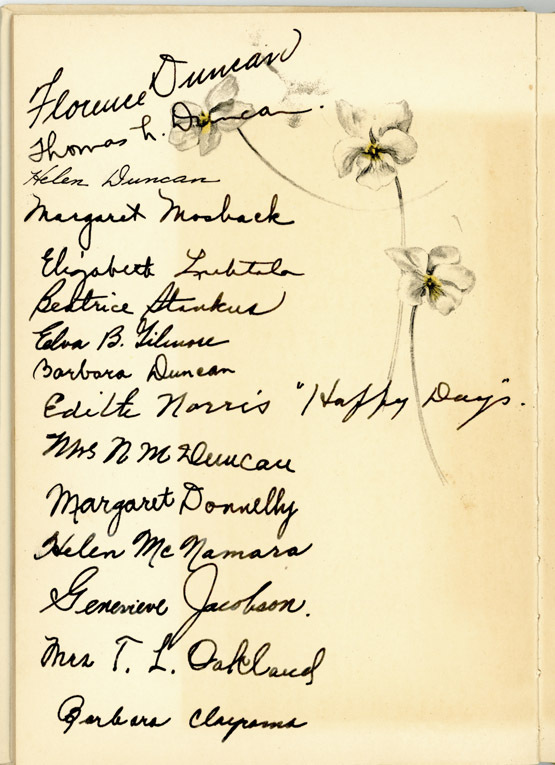 It’s interesting that about this time, Jane Addams also attended Rockford (Class of 1881). In 1881 Anna’s sister, Jennie, married Charles A. Webster. 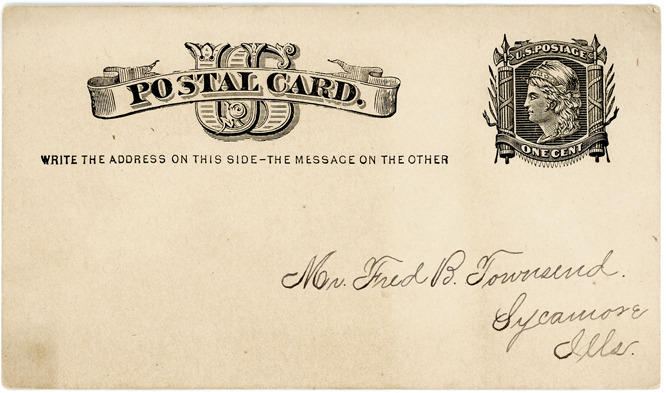 I have a postcard Anna sent to her brother Fred in 1881 (could be 1887). It appears to be written in a foreign language, although I think it may be a secret sibling language. What does it look like to you? She has beautiful, legible handwriting as you can see by the front of the card. When I sat down to write Frank’s story, I realized how little I know about his life. A few basic names and dates, but not much else. He was born Frank Erwin Claycomb on 6 May 1857 in Warren county, Illinois. His death certificate gives a birth year of 1855, but the early censuses are pretty clear that 1857 is more accurate. His parents were Sarah Ann Goddard and George Washington Claycomb. He had an older sister Laura born about 1852 (she later married Patrick H. Shelton). He also had an older brother Albert R. who was born in 1853 and died in 1860. And Frank had a younger sister, Alta May, born in 1865 who never married. As far as I know he lived in Warren county until a few years after his marriage. 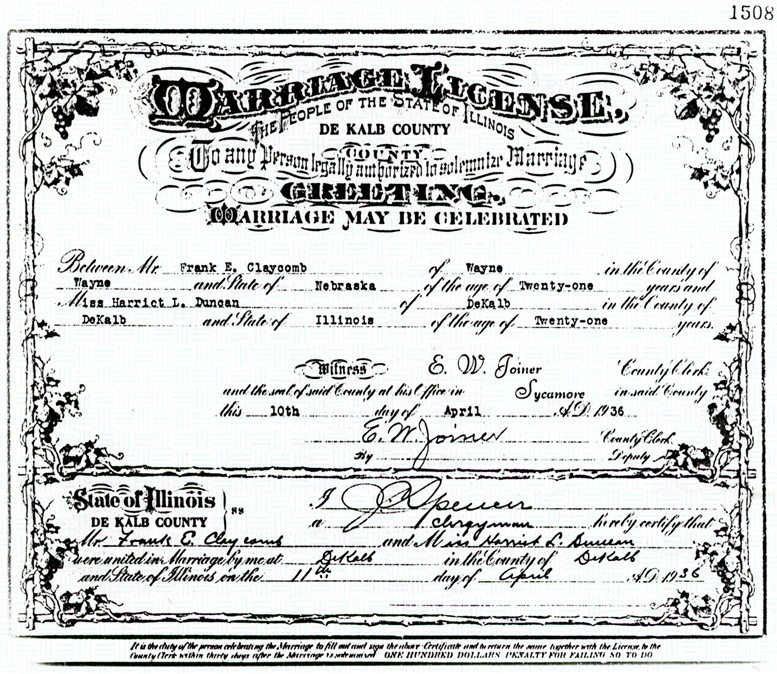 On 27 December 1882 Frank E. Claycomb, age 27, married Anna Townsend, age 18, in Sycamore, Illinois. Sycamore, Illinois and working as a gas meter reader for the local utility. Now the entries here are not at all personal, they deal with wire manufacturing and annealing and weights of lengths of different sized cable. But there are lots of blank pages. I have decided to make this book my journal for 2013. I’m going to write on the open pages. This feels a tiny bit sacrilegious, but it also connects me to him. A shared journal. 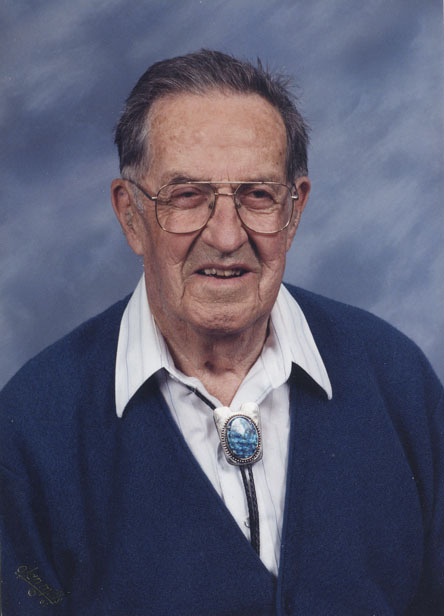 Frank Claycomb (1915-1999) worked for Anaconda Wire & Cable from 1934 to 1945 as a salesman. He worked in St. Louis, Detroit, and Los Angeles. When Anaconda wanted to transfer him to Ohio, Mom and Dad opted to stay in California. Dad left Anaconda and went to work for Pacific Wholesale Electric Company in San Diego, selling electric supplies.